How Will Filing Bankruptcy Affect My Co-Signer? A co-signer is someone who has guaranteed a debt on your behalf. This means that if you fail to pay the debt the co-signer is personally responsible. In bankruptcy, co-signers are referred to as co-debtors. Many of my clients have reservations about filing for bankruptcy because they do not want to negatively affect their co-signers. While the stay protects the co-debtor during the bankruptcy, it does not discharge the co-debtor’s liability to pay the debt. It will, however, prevent collection action by the creditor against the co-debtor such as obtaining a judgment, lien perfection, or reporting negative information to the credit bureaus during the pendency of the case. Unfortunately, there are exceptions to the protection of the co-debtor stay. The stay does not prohibit collection of debts incurred in the ordinary course of business. Additionally, since tax debts are generally not considered consumer debts, the tax authorities can continue their collection efforts while the bankruptcy is pending. Further, the co-debtor stay does not apply to Chapter 7 bankruptcy cases. This means that if the debtor converts the Chapter 13 to a Chapter 7 the stay will terminate. Finally, the co-debtor stay can be modified by the Bankruptcy Court upon request of the creditor. A creditor can file a motion with the Court asking for the stay to be “lifted”, meaning that the creditor would then have permission to begin collection action against the co-debtor. These types of motions are generally successful when the co-debtor is the one who actually received the benefit of the debt (e.g. you co-signed a car loan for your friend and she actually drives the car), if the debtor’s Chapter 13 plan does not provide for payment of the debt, or if the creditor can prove its interest would be irreparably harmed by the continuation of the stay. A knowing violation of the stay is illegal and is punishable by court imposed sanctions, and any action taken by the creditor in violation of the stay is void. Any such violation should be reported to the debtor’s attorney immediately so that the appropriate motions can be filed with the Bankruptcy Court. The co-debtor stay is a very powerful tool. If you live in St. Louis, MO, and are contemplating filing for bankruptcy you should consult an experienced St. Louis Bankruptcy Attorney. 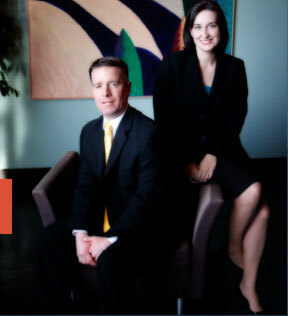 The best St. Louis bankruptcy attorneys offer free consultations, so you should call to set up an appointment to discuss your situation.